Harper negotiated the TPP in secret during his last years in power, and was dishonest with the public about what the deal actually meant, because he knew we would find it unacceptable. And no wonder... TPP is a dangerous, costly, and outdated deal. The TPP benefits corporations and the super wealthy at the expense of the things we care about, like a strong democracy, fair economy, and safe environment. TPP seriously threatens indigenous land rights, as well as the natural resources they preserve. TPP is not about free trade. This is about changing the rules of the game for the market economy in ways that disadvantage ordinary people and advantage a few large corporations. 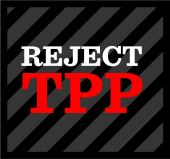 TPP is the worst trade deal ever. Investor-State dispute settlement undermines democracy and the rule of law. I think our trade negotiators have profoundly failed Canadians and our future innovators. I really lament it. The TPP will go down in history as the worst trade agreement for access to medicines. The devil is in the details. As people go through this, there's going to be some unpleasant surprises. It’s not a strong democracy if it doesn’t work for us. Corporate lobbyists are pressuring the new government to ratify the deal because the TPP is good for them - bad for us. The Trudeau Liberals haven’t made up their mind on the TPP. They've promised to make a special effort to listen to people across Canada about the TPP, and they want to hear from you. Together we can help our new leader make the right decision. Public opinion polls show that most Canadians are still unfamiliar with what’s in the TPP. If we’re being asked to weigh in on a complex 6,000 page deal, we need to understand it. Informed by expert research, this website was put together to help people across the country learn more about the TPP and the ways it could affect our lives.